K2  A Versatile Horizontal Style Home Gym Built for the Family, or Commercial Use! 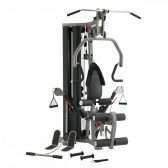 The K2.1 Strength Training System is a Two-Weight-Stack System which can accommodate multiple users, or quicker transitions for the single user! 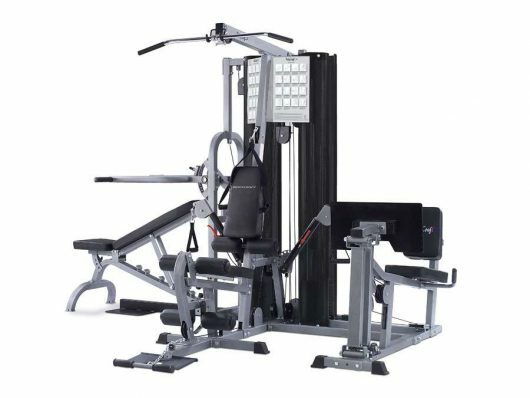 The removable weight bench provides all the traditional angles for Decline, Flat, and Incline Bench Presses, Shoulder Presses, and Squats! 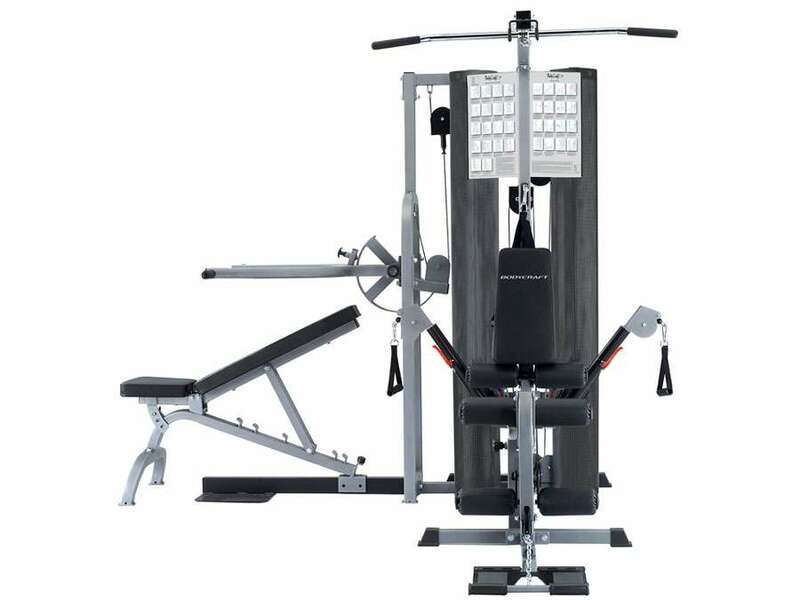 The unique, Turbo-Boost Feature easily converts the resistance for Presses and Squats from 91 kg (200 lbs) to 136 kg (300 lbs)! Squats up to 136 kg! Press/Row/Squat Arm for safe machine style bench press, decline press, incline press, shoulder press, leveraged rows, and squats! 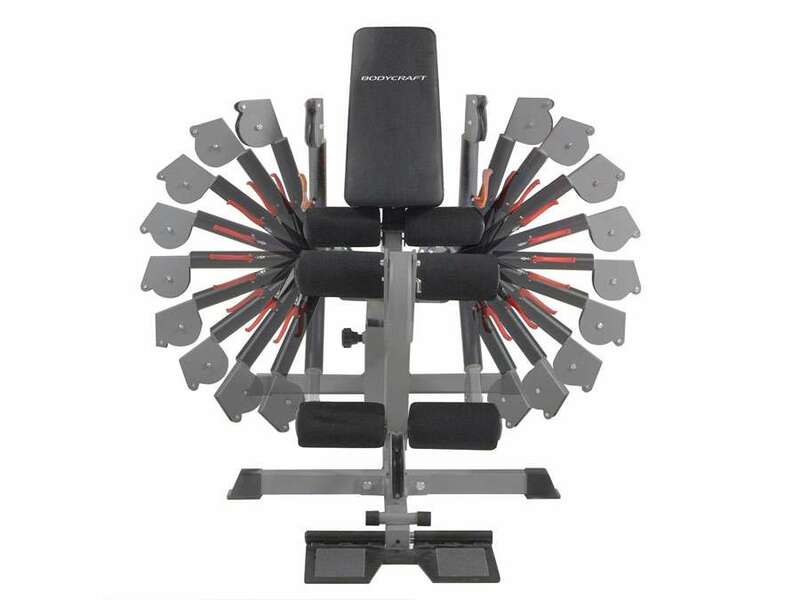 The Flat/Incline/Decline Bench provides all traditional angles. The bench slides out of the way for squats! The unique doubling feature provides a 1:2 ratio for presses and squats up to 181 kg on the 136 kg weight stack! The Press Arm is strong enough for dips! And, it folds out of the way for dumbbell work! 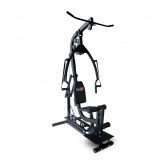 Fully adjustable Functional Training / Cable Arms provide over 100 exercises! Every exercise you have ever performed with dumbbells can be duplicated here! Also a great station for Sports Specific exercises, and Functional Training exercises! 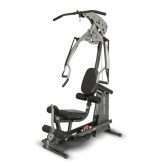 This station also includes a High Pulley for Lat Pull Downs, Triceps Pushdowns, etc! 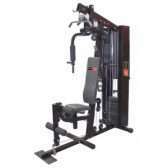 The self aligning Leg Extension / Leg Curl provides seated Leg Extension and Standing Leg Curls to fit any size user. Mid Pulley for Ab Crunches, Triceps extensions. Exercise Charts are mounted to plates right on the machine! Fits against the wall, or into a corner!